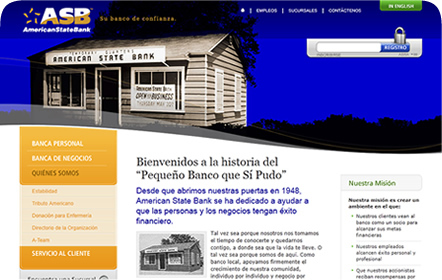 American State Bank is a Lubbock-based bank with a strong focus on its customers and their banking needs. 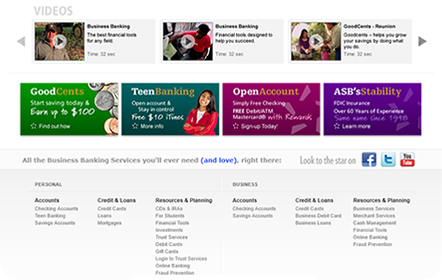 Since 1948, American State Bank has helped people and local businesses with their finances through loans, online banking, investments, even teen banking. ASB has a long, proud and successful history in Texas. Currently, they have 39 locations in 29 communities throughout the state. But, that doesn’t stop them from still being a “friendly little family bank,” as their first president, Jack Payne, put it. 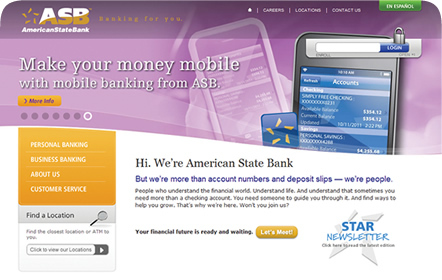 What ASB needed was a completely new brand that could cross all platforms from web to print, mobile apps and secure online banking. 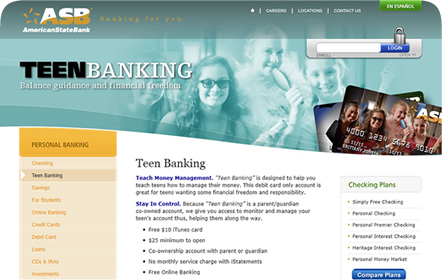 They truly are a stand-out bank and their website needed to reflect just that. 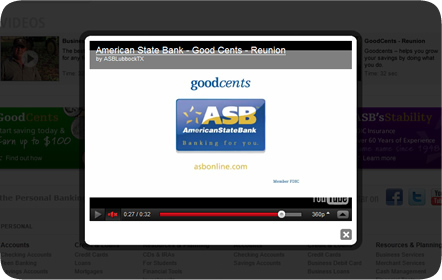 ASB wanted to showcase their dependable products and services to both current and new customers. 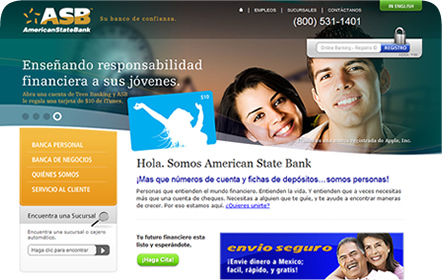 As part of their new design, we built their website in both English and Spanish to appeal to their wide and diverse audience found in West Texas. We also created their Facebook business page and their current social media campaign, connecting to more people with ease. All of this was nothing short of impressive for the client. As it stands, ASB continues to come back to us to produce more fantastic pieces for them. 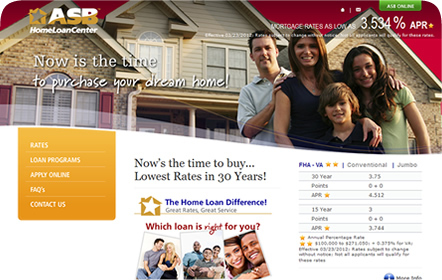 It also impressed the judges of the 2012 Addys, as we won a gold Addy.